Located in the constellation of Virgo, amidst the cluster of galaxies know as the Virgo cluster, is a spiral galaxy known as M61. This is one of the larger galaxies in the cluster, measuring in at about 100,000 light-years in diameter. It is estimated to be located some 60 million light-years from Earth. Messier originally mistook this object for a comet. 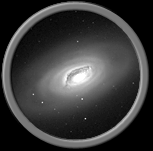 This galaxy's low luminosity, about magnitude 10, makes it appear as nothing more than a fuzzy spot in small optic instruments. 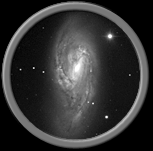 A large telescope and good sky conditions are needed to see any amount of detail. The constellation Ophiuchus is home to an unusual globular cluster known as M62. This cluster is known for its highly irregular shape. This deformation is believed to have been caused by gravitational tidal forces acting on the cluster due to its close proximity to the galactic center. It is only 6,100 light-years from the center of our galaxy. The cluster is located about 21,000 light-years from Earth. 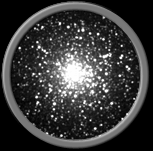 At magnitude 6.5, this is a bright object that can easily be found with a par of binoculars. 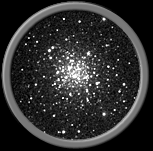 As with most globular clusters, a small telescope will bring out its glittery details. Located within in the constellation of Canes Venatici is M63, a spiral galaxy also known as the Sunflower Galaxy. It earned this name due to its sunflower-like appearance. It was originally discovered in 1779 by Messier's friend, Pierre Mechain. 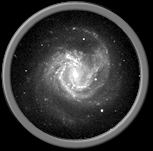 This galaxy is located about 37 million light-years from Earth, and is part of a group of galaxies that includes M51. 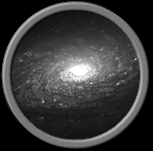 A good telescope and optimal sky conditions will reveal the galaxy's spiral arms as a grainy background that brightens considerably towards its center. Color photos of this galaxy show star-forming regions throughout its spiral arms. The constellation of Cancer is the site of an open star cluster called M67. It is one of the oldest known open clusters and is believed to be over 3 billion years old. 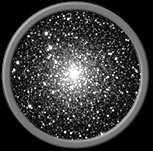 It is also the oldest cluster in the Messier catalog. This cluster is located about 2,700 light-years from Earth. 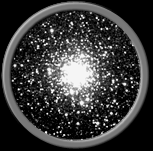 It contains around 500 stars, some 200 of which are believed to be white dwarfs. 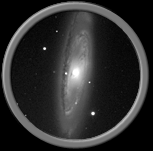 At magnitude 6.1, it is an easy target for the binocular observer. 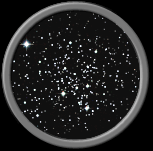 Viewing through a telescope will reveal some of the cluster's fainter stars.